Dancing With The Stars Interview and Exclusive Dance Lesson! Last week I had the pleasure of meeting a few troupe members from the Dancing With The Stars ensemble while attending the Guardians of the Galaxy Vol. 2 event, hosted by Disney (all expenses were paid in exchange for press coverage). I have to admit I was a bit intimidated by watching these amazing dancers perform the routine in front of us because they were going to teach us the same moves they were doing — yikes! The troupe is a group of very talented dancers who perform on each episode as backup dancers as well as the bigger group performances. They have to learn many different routines each week and it can be a grueling week of practice practice practice before the big performances on Monday nights. Sometimes troupe members are also called to fill in for injured dance pros as a celebrity partner. You may have seen troupe member Alan Bersten fill in for dance pro, Maksim Chmerkovskiy, this season! Maksim Chmerkovskiy Returns to the Ballroom Floor Monday, April 24th. 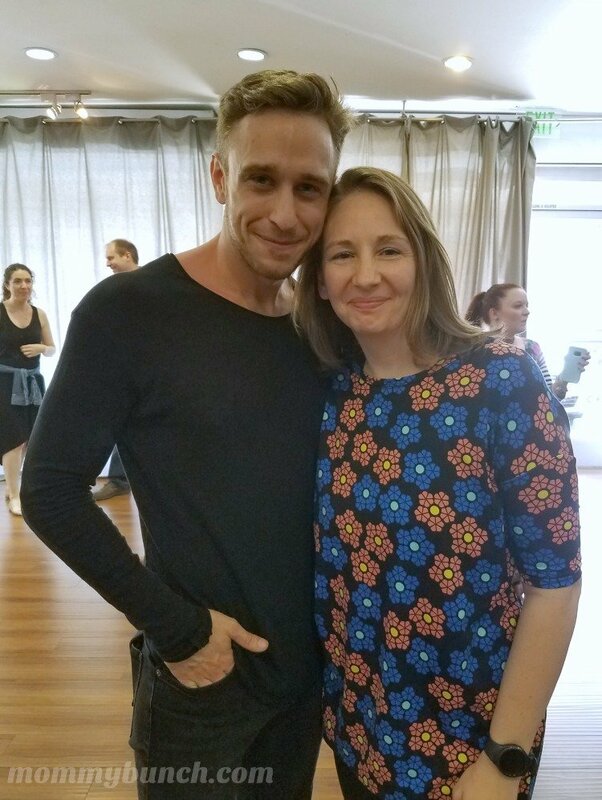 While at the dance studio, we had a chance to meet and dance with Brandon Armstrong, Hayley Erbert, Brittany Cherry, Britt Stewart, Alan Bersten, and the newest member Artur Adamski (who happened to be my team’s dance coach!). When we first arrived, many were a little apprehensive as to how grueling this was going to be (I’m always willing to try new things and make a fool of myself, but not everyone is ready for that). Alan Bersten took the lead in showing us the ropes and he kept the mood light, made us laugh, and made sure we all felt comfortable being there. 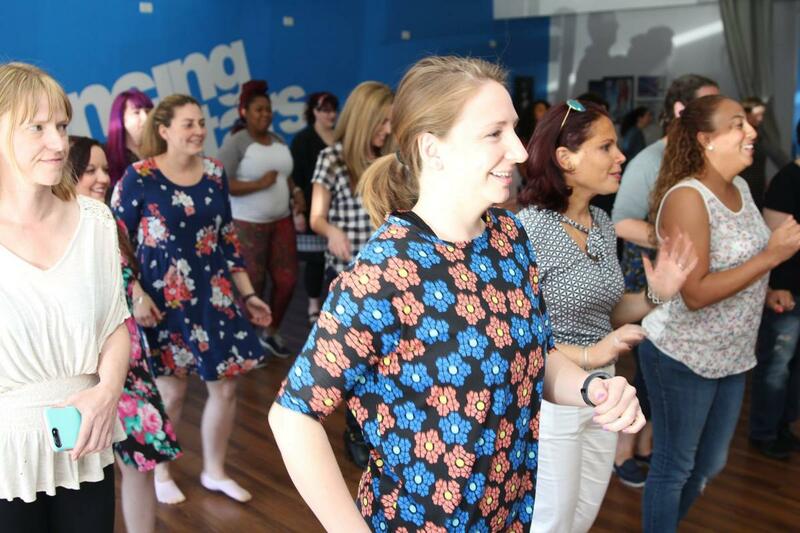 We learned some basic salsa steps as a group, and the pace was kept relatively slow at first. Then things began to pick up, which was okay for a while, but once they asked us to start doing arm movements WITH the steps we just learned — all bets were off and I was totally lost. After learning the basics, we broke into groups to learn additional steps for a dance-off! My team was paired with Artur Adamski, who was an excellent teacher, and very patient. Be sure to tune in to Dancing with the Stars on Monday night at 8 pm ET/7pm CT on ABC! The eight remaining couples will dance to some of the most iconic songs from famous boy bands and girl groups throughout musical history and Backstreet Boys’ Nick Carter is a guest judge! 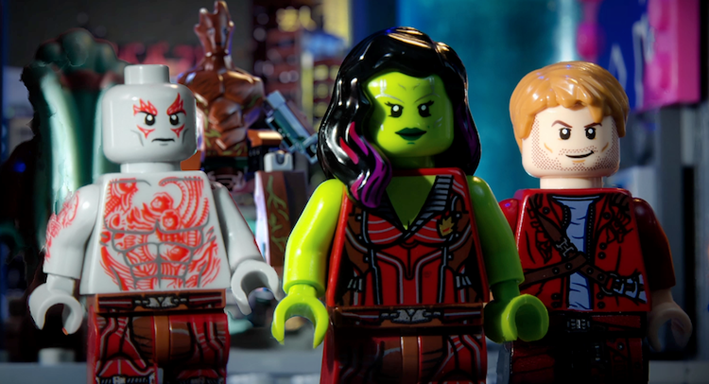 New Guardians of the Galaxy Lego Movie?